Engineered hardwood flooring with titanium finish are the newest answer to making your wood flooring more durable and beautiful. Some of the engineered wood floors with a titanium finish also have a UV sun block to protect the wood from the sun’s harmful rays. Prefinished floors make your flooring project cleaner and faster than if you had to finish it in place, but you also lose some of the advantages of in-place floor finishing. Don’t miss our best reviews and comparisons for engineered hardwood flooring, complete with buyer’s guide! Flooring choices have come a long way over the last twenty-five years or so. The flooring manufacturers have put quite a bit of effort into finding materials that are durable and that fit just about any homeowner’s budget. This is quite a feat, and the choices have greatly improved. Flooring projects are more of a do-it-yourself project than ever before. Natural flooring options are a very popular choice for many homes, but the cost can sometimes be quite high. That is why many people are turning to engineered flooring to help get a durable natural look into their homes that meets both their aesthetic and functional needs and budget. Engineered hardwood flooring with titanium finish is one way that this is being done, but it is slightly more expensive than engineered hardwood flooring without the titanium finish. Engineered hardwood flooring is flooring that offers the look and feel of wood flooring in your home, but with added durability. The engineered hardwood has a natural, wood top layer, but it is layered with cheaper woods below. This layering helps to make the engineered flooring stronger and more able to withstand the abuse floors get, especially when it comes to heat and moisture. Additionally, floors encounter the shoe soles, liquid spills, toys, and other things that are moved around every day. This means that if your flooring choice is not made carefully, your floors could be scratched, stained, dinged, or worse. The good news is the engineered hardwood flooring with titanium finish can withstand all of these different conditions. The reason is that the polyurethane coating used to finish the flooring includes titanium oxide, which helps to make it stronger. It may be difficult to find engineered hardwood flooring with titanium finish because only a few manufacturers are manufacturing it right now due to the technology being comparatively new. Once it becomes more popular, it will be easier to find and the price will gradually decrease as well. The great thing about engineered hardwood flooring with titanium finish and other oxide finishes is that the manufacturers usually offer a substantial warranty on their product because it is virtually impossible to scratch or damage. This is good news for homeowners, because it means that if there are problems with the flooring due to normal wear and tear, then they will replace your flooring. This means you will ultimately spend less by purchasing this flooring as compared to an engineered floor that doesn’t have a titanium finish. Researching your engineered hardwood flooring with titanium finish is very important. By understanding the selection that is available, including all of the different types of wood, you will be more able to determine what you want and need for your home so that the selection is not as overwhelming when you visit the store. 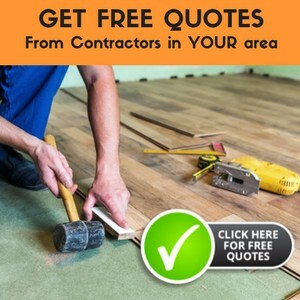 This will save you both time and money, because you can compare prices while you are looking at the different flooring choices available. I haven’t personally experienced a titanium-oxide-finished floor, but I hope it wears better than my aluminum-oxide-finished floor which dents wherever chairs roll over it. I don’t know if all aluminum-oxide floor finishes are like mine either, but I’m not as happy with mine as I’d hoped. It sounded good in the sales materials, but isn’t living up to my expectations. If you are looking for a floor that will live through the damage that your kids and pets can dish out, then you will want to consider engineered hardwood flooring with titanium finish. This flooring could even outlast the life of your home, which would make it well worth the investment. can you please let me know where I can find tiatnium finished hardwood floors. I would suggest looking online for starters – go to google.com – with any luck you’ll figure out who makes titanium finished hardwood floors and can research more effectively. Check out your big-box home improvement stores too. Just read your article on titanium oxide finished floors. There is a company located Canada that just convinced me to come out of retirement to sell their 10 coat titanium oxide finished hardwood floors. They are very well known locally, have been in business for 25 years and provide a 40 year warranty. They manufacture and sell their own flooring. Yes, you pay a little more for it but you’re buying quality. If you want more information – let me know. I would like more information on that company as well as any others doing titanium finish floors. My wife and I are currently trying to decide what material to use. I like the look, sound, and feel, of real wood. She likes the durablity of laminate. I don’t want to sound like I’m wearing tap shoes, though. And many laminates tend to wash out their look with under stronger overhead lighting.